Mufuliat Fijabi is a gender and development practitioner and has worked as a passionate women’s human rights activist over the last two decades. She has experience in communications, women’s leadership and political participation, resource mobilization, policy development and advocacy, as well as inclusion of vulnerable groups (women, youths and Persons with Disabilities) in development and democratic processes. She has served in different capacities, including, News Reporter and Producer, Woman Editor, Senior Programme Officer, Consultant, Acting Executive Director, Project Manager, National Gender Expert and Gender Advisor. Some of the organizations she worked in over the years included, The Guardian Newspaper, MITV/Star 101.5 FM, BAOBAB for Women’s Human Rights, EDI for Gender Justice, United Nations Development Programme (UNDP), Democratic Governance for Development (DGD) II Project and the International Foundation for Electoral Systems,(IFES). 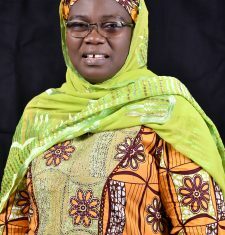 Mufuliat holds a Bachelor of Arts (Hons) degree in English from the University of Ibadan, Nigeria and two Masters Degrees –English and Public Policy and Management from the Universities of Lagos, Nigeria and York, United Kingdom respectively. She brings on board the Nigerian Women’s Trust Fund experience in resource mobilization for women’s leadership and political participation and analytical skills in inclusion and effective participation of women in democratic processes and decision making positions.